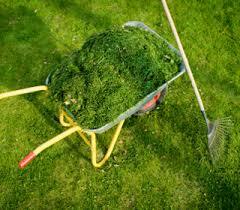 Grass clippings can be very unsightly and the piles can smell quite a bit while composting. If you are looking for an easy green solution to your problem, consider our free drop off service. Our service is free your first time to try when you purchase materials during the same trip and then $20 per load after that. At Select Materials we will accept all of your grass clipping no matter the amount! All we require is that they are free of trash and plastics. We accept and compost yard waste drop off, grass clipping dumping, horse manure disposal, and tree limb and branch drop off free of charge.